He remembers when his car’s book value was higher than his company’s net worth. He remembers buying his first forklift. He remembers the garage where it all started on 1071 S. High in Columbus, Ohio. Mr. William R. Hague will be the first to admit that the beginning was humble. 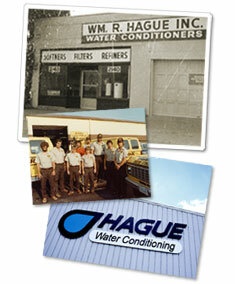 Today, Hague is an international leader, a major company with dealers across the world whose reputation is linked to the tireless innovation and drive that has marked Hague’s success for over 40 years.